You may remember that I asked some of the more active birders in our area to contribute to the blog – I’m happy to say that Karen Miller is the latest to take me up on it. We love birding! It’s a huge part of our lives, but we need young birders to get in the game also and advocate for birds so future generations will have these wonderful creatures in THEIR world too. I met a young birder with his parents at the Basha Kill recently. Joseph is 5 1/2 years old (and DON’T forget the the 1/2 year or he will quickly correct you!). Joseph is a very smart little guy with lots of energy and he was constantly running around looking for new birds. As I chatted with his parents, Joseph would run up to me and say “Excuse me, excuse me. What bird is this?” He would hand me his little point-and-shoot camera and I tried to identify the bird from a small picture on the display screen. When a Great Blue Heron flew over, he nearly flipped out at the size of the bird! (It surprises me every time, too). Joseph was certain that an Eastern Phoebe on his mother’s camera was instead a picture of a Kingfisher : ) I could barely keep up with his questions. At one point Joseph ran up to us, announced that he had found a yellow bird and dragged me off to identify the bird. He quickly relocated the bird in a small bush… and he was right! It WAS a yellow bird! 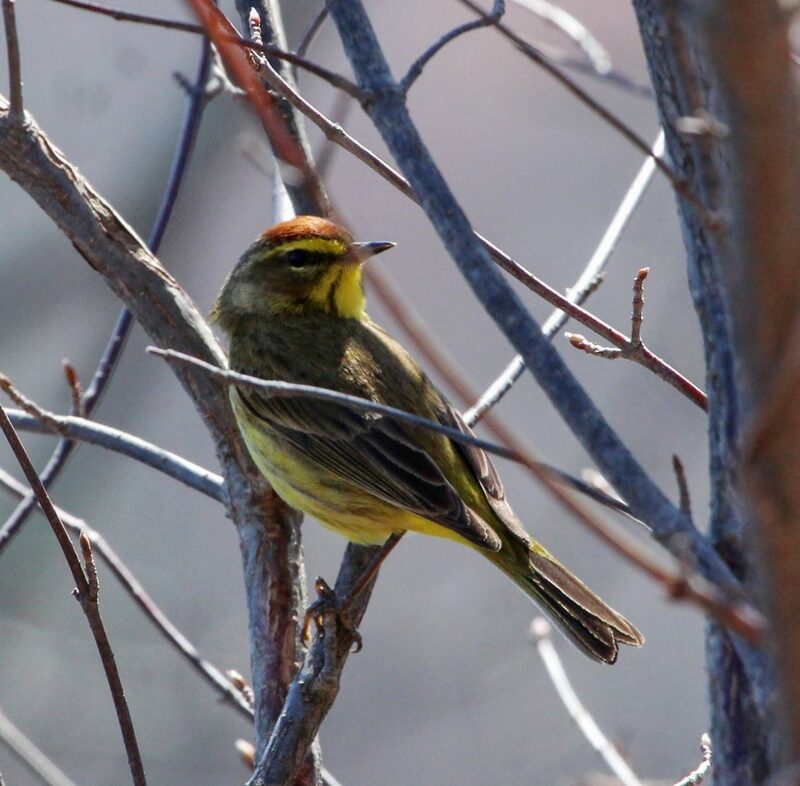 Above is a picture of his great finding… a Palm Warbler! Not bad for a 5 1/2 year old! Feeding the birds at home gives Joseph a good start on observing and learning the birds. I hope that I see Joseph at the Bash again soon. We need young birders! A great story, thanks for sharing it Matt! We do in deed need young birders to join the ranks of seasoned birders. Joseph is a fine example of this. I’ve been fortunate to join some of the field trips of the “New York State Young Birders” in the past. I’ve always learned something from them when I have. With that in light, the group will be birding the Bashakill this Sunday, 5/5 for their annual field trip lead by Lance Verderame. If you would like to stop by and join the group, I’m sure you will enjoy the experience. I hope you all have some great spring birding! That date should have been 5/6, and I should have said “meet” the group, not join it. Thanks to Karen for the article as well!